I am always thinking of new creative and healthy ideas for my family. This Breakfast Of Champions High Protein Power Smoothie is just the perfect recipe for my kids to start a busy day full of energy. It’s important for kids to get protein at every meal, especially breakfast. Plus, studies show eating breakfast helps kids focus and concentrate at school. With 9 essential nutrients in each glass, milk is a simple, delicious and wholesome way to give your kids a natural source of high-quality protein. Milk + Fruits & Veggies = Breakfast Of Champions High Protein Power Smoothie! If you are worried about refined sugars in your kid’s diet, then you need to try this recipe. I like to make my smoothies with fruits and veggies. I think it is a great way to include more nutrition in my kid’s diet. I love this smoothie also in the mornings after a workout. It makes me feel energized and ready for a busy day. 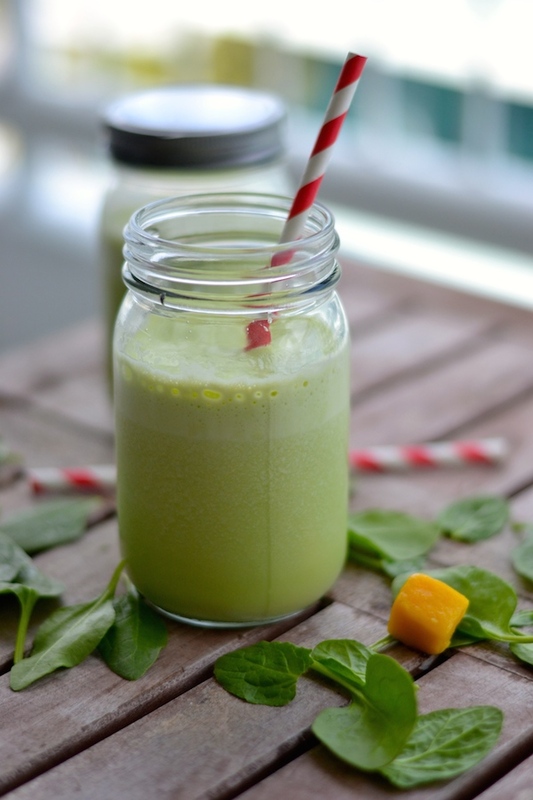 This mango and spinach combination is just perfect for kids. 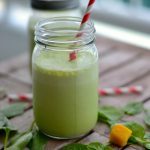 Mango is sweet enough so you won’t need to add any sugar, and spinach is a vegetable that won’t really change the flavor of the smoothie. You can use fresh or frozen mango chunks. This Breakfast Of Champions High Protein Power Smoothie is packed with vitamins and milk that provides 8 grams of high-quality protein per 8 ounce glass. 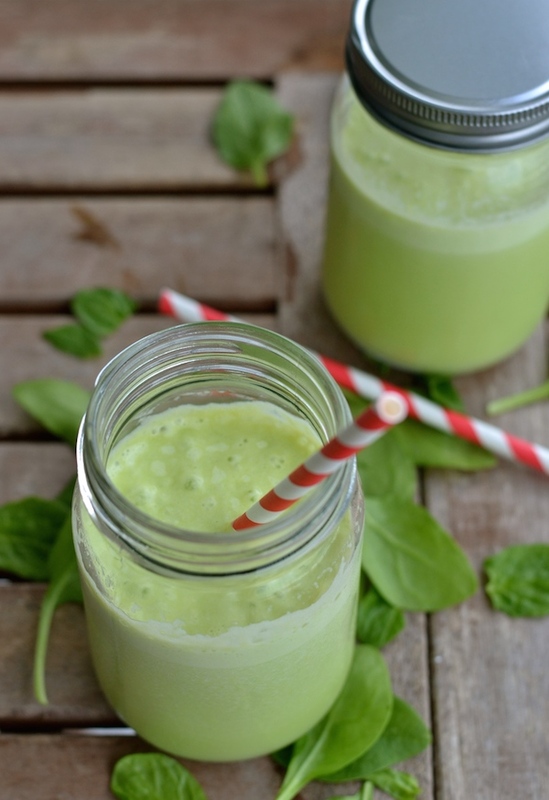 My kids absolutely love this smoothie recipe. Win! Win! 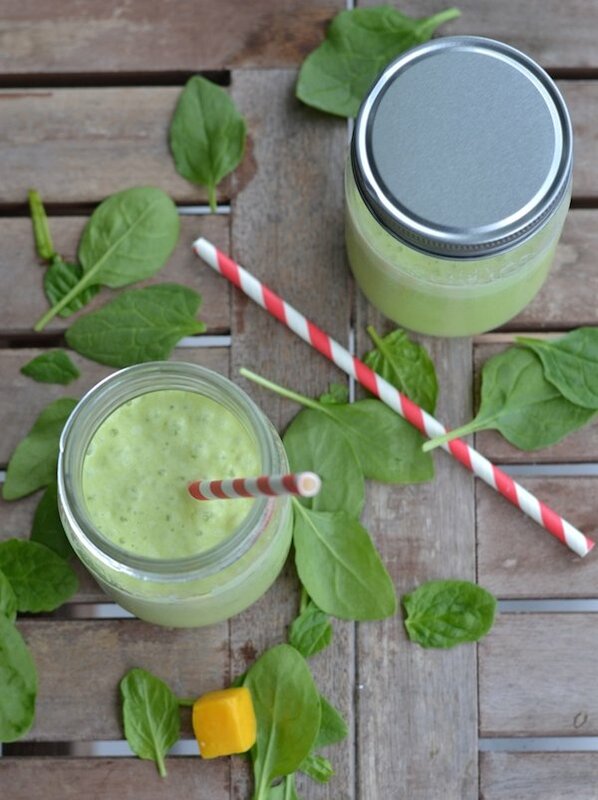 Instead of using artificial syrups to give flavor to plain milk, choose to make delicious and nutritious smoothies! It is really the perfect way to start the day with real food. I am really proud to be a part of this “Milk life Lo Que Nos Hace Fuertes” (Milk Life Is what Makes Us Strong”) campaign. They are also sharing a few exclusive step-by-step recipe videos with some delicious, fun, and simple ways to include milk in both moms’ and kids’ diets prepared by Chef LaLa on FuertesconLeche.com. Check it out and find many more ideas for your “familia”. The perfect way to start the day full of energy. Milk Campaign. Breakfast Of Champions High Protein Power Smoothie.